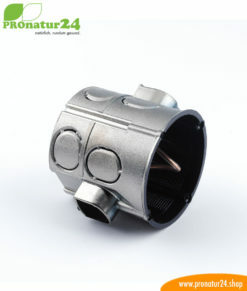 With this push-wire connector, the potential connection cable of the shielded junction box will be connected to the ground wire of the shielded electric cable quickly and effectively. 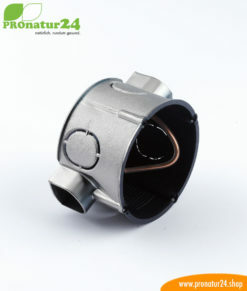 With this push-wire connector, connecting the ground wire of the shielded electric cable to the shielded in-wall / cavity-wall box will be very easy. 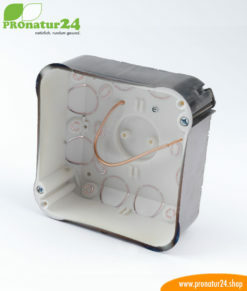 The shielded in-wall box or cavity box contains a potential connection cable. 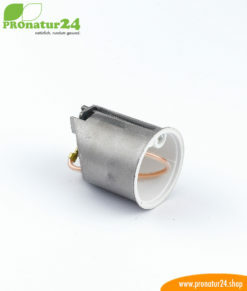 This line must be connected to the ground wire of the shielded electric or sheathed cable, and this push-wire connector can be used for that purpose. A simple, quick and effective solution. 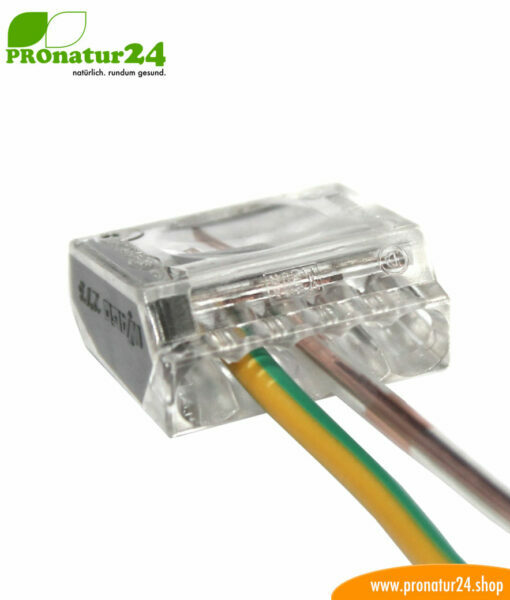 The push-wire connector is transparent and contains 5 connection options ranging from 1.0 mm² to 2.5 mm² in wire thickness. 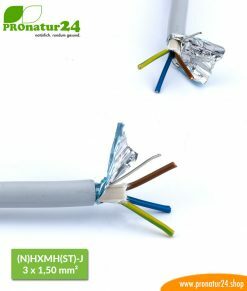 (N)HXMH(St)-J shielded electric cable. Halogen-free. 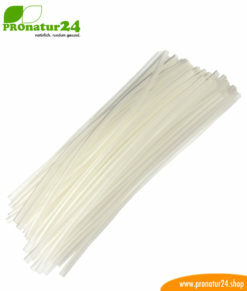 Plasticizer-free. Laying cable to protect against electric waves. 50 and 100 meters length. 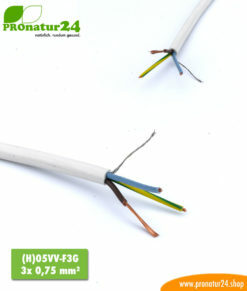 (H)05VV-F3G shielded, flexible electric cable. 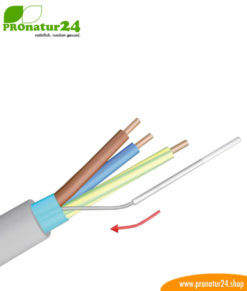 BIO electric cable for mobile consumers to prevent LF electric fields.